Board of Supervisors meets Tuesdays at 9 a.m. Check County website for location and agenda. County Planning Commission meets 3 Wednesdays/month at 9 a.m. Central County Board of Architectural Review (CBAR) normally meets 2nd Friday at 9 a.m., Solvang Municipal Courtroom, 1745 Mission Drive, Solvang. Check planning website for dates, locations and agendas. City Council meets 2nd and 4th Thursdays, 6 p.m. Planning Commission meets 1st and 3rd Thursdays, 6 p.m., unless cancelled. Both groups meet at 140 W. Hwy 246 behind the post office. See the City website for agendas and any notices of cancellation. See the City website for agendas and any notices of cancellation. Board of Trustees meets 3rd Tuesday of each month, 5:30 p.m.( Nov. – Mar.) and 6:30 p.m. (April – October). Meetings are held at the Water District office, 3622 Sagunto Street, Santa Ynez. See website for agendas. It seems like “everyone” reads the Letters to the Editor, so it is a good way for your ideas to get attention. Here is the information you need to write a letter to the newspapers most widely available in the Santy Ynez Valley. 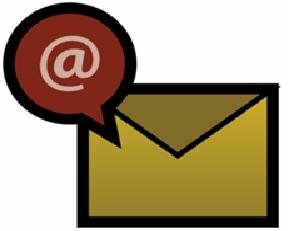 We recommend using e-mail to transmit your letter. Information current as of 1/29/16.